Cloudfone 600FHD hits the scene after the CM Omega series and a slew of octa-core runners from different local brands storm the market. You’ve been overwhelmed by now with the staggering releases of local flagship phones with fast processors, beefy RAMs and high-rated camera sensors. Not to mention that the country’s tech scene is overcrowded with premium branded devices, do we need another phone in our checklist? Probably yes. The announcement of the upcoming phone from Cloudfone steals an ample amount of lightning among local or even international brands. Having the 6-inch full HD as its marquee feature, we could assume that this beast will go head to head with the current phablet kings. Powered by a 1.7-gigahertz CPU, this device will process everything thrown at it in without having a hiccup. Aside from the display and CPU, the 2GB of RAM and 32GB of internal memory will keep you loaded up with multimedia files. 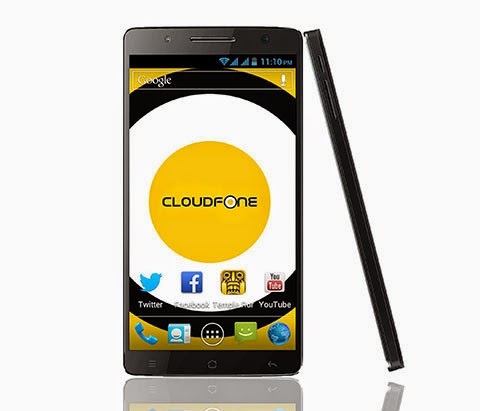 The phone will be the first phone from Cloudfone that will have a full HD 1080p resolution. Aside from the pixel density, the display also comes with One Glass Solution (OGS) which is similar to Apple’s devices integrated displays wherein the screen panel and the display is combined in to one module. In turn, the device will have a slimmer form factor and best visual register.